The band recorded their first album, titled All Else Failed, released on Clenched Fist Records, before signing to Solid State Records. Their debut album on Solid State, The Splinter Shards the Birth of Separation, in 1996. Cox left the band in 1997 while the band added second guitarist Ron Gray, and Bassist Kevin Moran to replace Cox. All the members, except Smith, left the band in 1998. Smith replaced them with Brett Detar (Guitar/Bass), Russell Cogdell (Guitar/Bass) and Daniel Weydant (Vocals/Bass). This lineup recorded the highly acclaimed Where Blood and Fire Bring Rest and the Split with Training for Utopia, titled simply, Training for Utopia/Zao. Detar left the band because of disagreements with Smith and to start The Juliana Theory. Detar was replaced by Guitarist Scott Mellinger and they added permanent Bassist Rob Horner (The Minus Tide) and recorded the also highly acclaimed Liberate Te Ex Inferis in 1999. Cogdell left the band in 2000 to go to film school. The band recorded their Self-Titled that was simply title "Self-Titled" in 2001 and Parade of Chaos in 2002. Weydant was replaced in live shows by Corey Darst (The Pretty Weapons) and Josh Ashworth (Society's Finest). Smith was also replaced for a few shows, by Lance Garvin (Living Sacrifice, Soul Embraced), as the band couldn't find him. Smith and Horner left in 2004, and Weydant and Cogdell came back into the picture and added Drummer Stephen Peck (Seasons in the Field, Lonely Ghost Parade, Jade Meridian) and Bassist Shawn Koschik (Jade Meridian). The band at this point left Solid State Records to sign to Ferret Records. 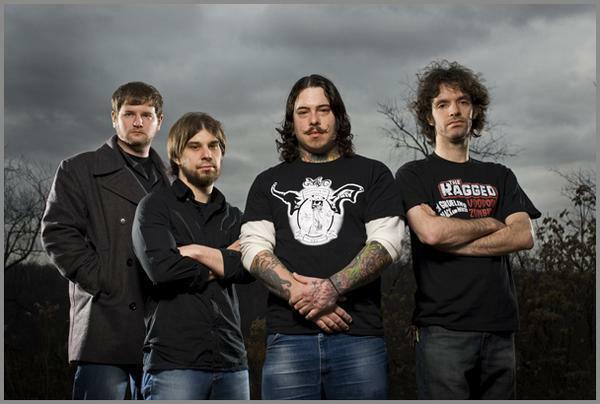 Zao recorded the album The Funeral of God, in 2004 before Koschik and Peck left the band and were replaced by Bassist Marty Lunn (Pensive) and Drummer Jeff Gretz (From Autumn to Ashes). Gretz was the first outspoken non-Christian to ever join the band. Before recording the album The Fear is What Keeps You Here, Cogdell injured himself on stage and had to leave the band in 2006. Awake? was recorded and released in 2009 through Ferret which was their last release through that label. In 2010, Cogdell rejoined (for the second time, this guy will probably leave or hurt himself again). In 2015, a resurgence in activity of the band started back. In July 2015 the band released their first EP since 1998, titled Xenophobe. God was mentioned in the beginning but since then many current members have left Christianity, minus Bassist Marty Lunn. Guitarist Russ Cogdell is in the agnostic view, Guitarist Scott Mellinger is an Athiest while Gretz has not been Christian since joining. While Zao's story is not as crazy or insane as Vengeance Rising's or As I Lay Dying's story, it is sad to see these talent musicians leave the faith. But nonetheless, while others might not respect all their religious beliefs, every musician in Zao is talented.